Finance minister Piyush Goyal on Friday (01-02-2019) presented the much awaited Union Budget in Lok Sabha. 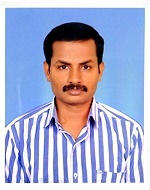 Goyal was appointed interim finance minister on January 23 with Arun Jaitley undergoing treatment in the United States. Here is a look at the main points of the Budget related to Health and Family Welfare presented by Piyush Goyal. The government in its Union Budget 2019 has raised the allocation for Ayushman Bharat scheme by a whopping 167 percent to Rs 6,400 crore for 2019-2020. The allocation for Ayushman Bharat scheme stood at Rs 2,400 crore in 2018-2019. The allocation, however, fell short by around Rs 1,000 crore more sought by National Health Authority, the implementing agency of Ayushman Bharat. The government introduced Ayushman Bharat or Pradhan Mantri Jan Arogya Yojana (PMJAY) in the Budget 2018, with an aim to provide health coverage of Rs 5 lakh per year to 10.74 crore poor families or 40 percent of India’s population. 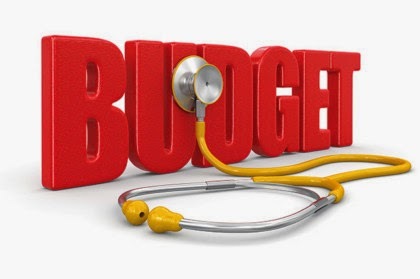 The total budget allocation for Department of Health and Family Welfare for 2019-2020 stood at Rs 61,398.12 an increase of 13 percent compared to the current financial year. Excluding the Ayushman Bharat scheme, the increase of health allocation is 6 percent. Rs 1,739.76 crore has been earmarked for the Ministry of AYUSH for the next fiscal, a 6.9 per cent increase over the 2018-2019 financial year. The government allocated Rs 40 crore for the All India Institute of Ayurveda, New Delhi, for financial year 2019-2020 while Rs 50 crore was earmarked for the National Institute of Homoeopathy in Kolkata. For strengthening of AYUSH Delivery Systems, the budgetary allocation was increased from Rs 71.36 crore to Rs 92.31 crore. Strengthening of AYUSH Delivery Systems include assistance to accredited AYUSH Centres, Central Drug Controller for AYUSH, Development of Common Facilities for AYUSH Industry Clusters and Promotion of International Cooperation. The allocations for National Health Mission that covers gamut of health services such immunization, neonatal care, ASHA workers, Vector Borne Diseases, TB, Leprosy and communicable disease grew 3.46 percent. The allocation of immunization or vaccination programme was cut 7 percent to Rs 6758.46 crore. Presenting the budget, Piyush Goyal Interim Finance Minister, said around 10 lakh patients have already benefited through free treatment for medical treatment which would have otherwise cost them Rs 3,000 crore. Goyal also highlighted about lakhs of poor and middle class people benefiting from reduction in the prices of essential medicines, cardiac stents and knee implants, and availability of medicines at affordable prices through Pradhan Mantri Jan Aushadhi Kendras. Goyal announced setting up of a new or the 22nd AIIMS in Haryana. The government since 2014 announced 14 AIIMS or Central medical institutions, taking the total to 21. Short of any specifics, but Goyal spoke about government aiming at healthy society with an environment of health assurance and the support of necessary health infrastructure. “Our government has rolled out the Ayushman Bharat scheme. By 2030, we will work towards a distress-free health care and a functional and comprehensive wellness system for all,” he said.